Quicken, a popular accounting software, might begin to struggle as more and more competitors rise to the top. Quicken alternatives are not only offering the same personal finance tools as Quicken, but they are also offering better interfaces and a wider variety of options for a lower price. Quicken has historically been used to keep track of complex personal financial planning. Various versions of Quicken, such as QuickBooks, acted as a personal financial advisor for small businesses. Nowadays, Quicken alternatives can do everything that Quicken can do and more. If you are looking for alternatives to Quicken, AdvisoryHQ has compiled a list of six Quicken alternatives. Quicken is a personal finance software developed by Intuit, Inc in 1982. At the time, Quicken was a revolutionary software program. It was able to streamline the tedious process of balancing checkbooks and saved households valuable time. From its small roots, Quicken has grown into one of the most popular accounting software programs. However, with the rise of Quicken alternatives, Quicken is quickly losing its grasp on the personal finance software market. What Is the Difference Between Quicken and Quickbooks? In order to compare Quicken software, you have to realize that the different versions of Quicken each have their own distinct niche. If you are unsure of which version you need, there are a couple of key differences when considering Quicken vs. Quickbooks. Price: Quicken software is leaps and bounds cheaper than Quickbooks. Since Quicken is meant to be used by a household, it is typically less expensive. Generally, Quicken software will cost a family at or below $100. On the other hand, Quickbooks will generally cost a business hundreds of dollars per user. Since Quickbooks is aimed towards businesses, the price tag is going to be much higher. Financial Features: Quicken and Quickbooks both have the same features to a point. Both software programs are able to keep track of bill payments, expenses, checks, online payments, bank accounts, paychecks, and budgets. However, that is pretty much the extent of what Quicken software can handle. It almost does not seem fair to compare Quicken vs. Quickbooks because Quickbooks can do so much more. 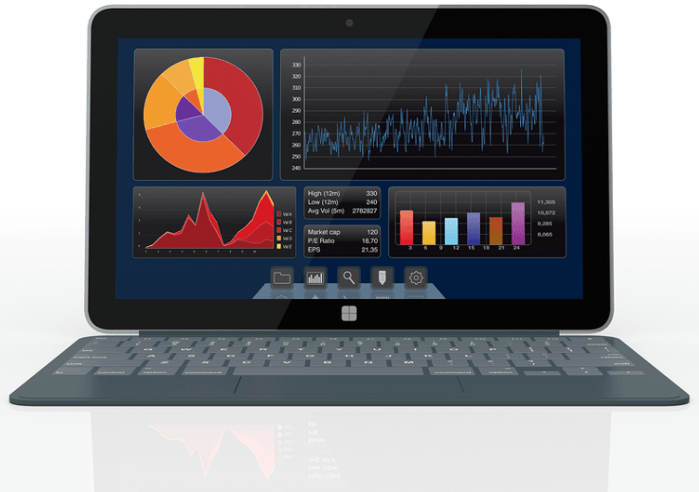 Quickbooks provides vital accounting software that businesses need. Some of these options include profit loss tracking, expense tracking, and invoice creation. Need of the User: Generally speaking, Quicken is a personal financial planning software meant to be used by households, while Quickbooks is the offshoot meant to be used by businesses. The head of a household will not need all of the bells and whistles that come with Quickbooks. Along the same lines, a business will not be able to function solely by using Quicken software. When comparing Quicken vs. Quickbooks, small businesses have a bit of a gray area. Small businesses may be able to get by with Quicken. However, if it fits the budget, the difference between Quicken and Quickbooks may be worth the cost of purchasing a better edition of the Quicken software. What methodology does AdvisoryHQ use in selecting and finalizing the firms, services, and products that are ranked on its various top rated lists? 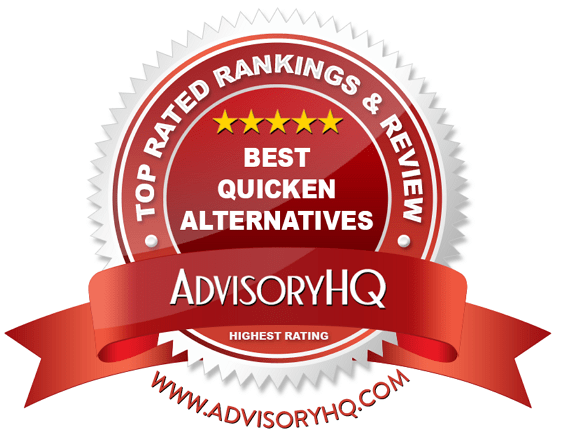 Please click here “AdvisoryHQ’s Ranking Methodologies” for a detailed review of AdvisoryHQ’s selection methodologies for ranking top rated firms, products, and services. Below, please find the detailed review of each firm on our list of the best alternatives to Quicken. We have highlighted some of the factors that allowed these Quicken alternatives to score so high in our selection ranking. 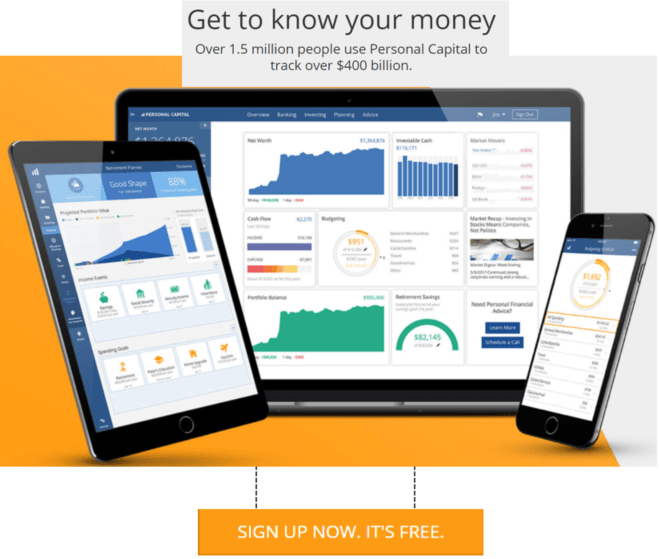 Personal Capital is one of the next big Quicken alternatives. Personal Capital has over 1,000,000 registered users worldwide. It boasts that its clientele has tracked over $226 billion dollars’ worth of assets using its alternatives to Quicken. In addition, this Quicken competitor also personally manages $2.3 billion dollars for individuals who want a more personalized portfolio. After narrowing down the significant list, the below factors represent what we find notable about Personal Capital, one of the best Quicken alternatives. 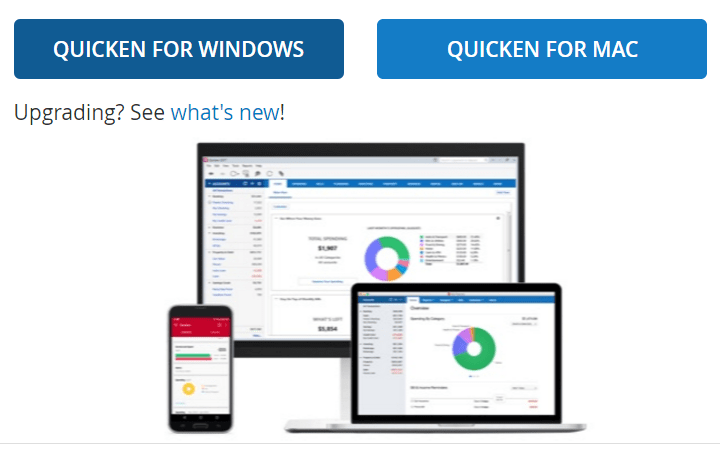 This Quicken alternative is giving Quicken a run for its money because its accounting software is completely free. Personal Capital does not ask for 1 single penny in return for using its personal finance software. 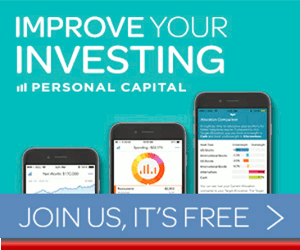 Other Quicken competitors may ask for a monthly or annual subscription, but Personal Capital does not. All you need to sign up is an email address and a phone number. You will have access to all of the personal financial planning tools available on the website as soon as you verify your email address. Many websites offer free email addresses, so it will not cost you a single cent to use this Quicken competitor. Personal Capital knows that some people need more guidance than others when it comes to making investments. If you invest over $1 million with Personal Capital, it offers a specialized client group service. As your net worth increases, it can become difficult to see the big picture when investing. Personal Capital allows you to schedule a consultation to speak with a financial advisor about your portfolio. Your financial advisor will help you create a personal portfolio that will maximize your earning potential. This Quicken alternative specializes in making sure that your portfolio is tax-efficient, made up of a variety of investments, and takes into consideration any private stock you already have in play. There is a reason that over 1 million people choose this Quicken competitor over competing Quicken alternatives. 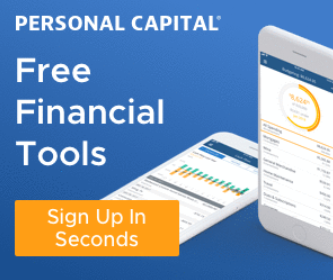 Personal Capital is seen as a Quicken alternative because it offers a wide variety of analytical tools that allow you to get a close look at your finances. 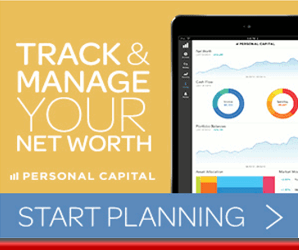 Personal Capital gives you the knowledge of knowing exactly what your net worth is. It takes into consideration all of your checking, savings, investment, and IRA accounts when determining your net worth. It will also include your mortgage, home equity loans, and credit cards into the equation. This allows you to see exactly what you are worth in real-time. This Quicken alternative also allows you to discover any hidden fees within your portfolio. This software will show you, in detail, what you are paying for your investments. You may be paying a fee to maintain your mutual fund or retirement account that you didn’t know about. Even if you know that you do not have any hidden fees, you may want to consider using this Quicken competitor because it will analyze your portfolio to save you money. Personal Capital will scan your portfolio for any quick improvements that may save you boatloads of money over the long run. Personal Capital will even show you the big picture. They provide some of the best personal finance software, showing what your retirement will look like in X amount of years, or how a new member of the family will change your spending habits. 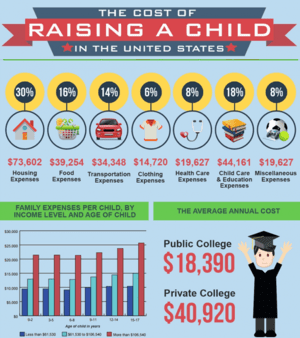 Planning ahead is necessary in order to stay on top of your finances. Seeing the big picture will allow you to save your money now before you wind up needing it. CountAbout is a top Quicken alternative to consider. 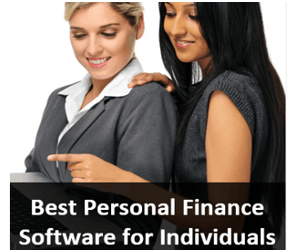 In fact, it is the best personal finance software for users who want to effortlessly switch from Quicken software to another Quicken competitor. A relatively new Quicken competitor, CountAbout has a great marketing strategy. It is the only Quicken alternative that allows for a seamless merger of pre-existing Quicken data to CountAbout’s accounting software. Listed below are a collection of key factors that enabled us to include this in our list of best alternatives to Quicken. CountAbout provides a huge advantage over other Quicken alternatives, since it allows users to import data from Quicken or Mint.com. This includes any pre-existing categories, accounts, and transactions. For current users looking for Quicken competitors, CountAbout is a powerful Quicken alternative to consider. With the ability to transfer existing data, this is one of the best alternatives to Quicken to consider for easy, smooth integration. This ability comes from its Cloud-based application. Not only is data safely and efficiently transferred from existing personal finance tools, but CountAbout users also benefit from constant updates and syncing on all devices. When looking for a Quicken alternative, pricing will inevitably come into play. The best alternatives to Quicken should allow for initial exploration, and CountAbout does just that. Users can sign up for a 15-day free trial to determine if this Quicken competitor is amongst the best alternatives to Quicken. At the end of the trial, users will be prompted to sign up for a subscription service. CountAbout offers Basic or Premium subscription services. At $9.99/year, the Basic plan is the most affordable option, though it does not come with automatic download of financial transactions from over 12,500 financial institutions. Automatic downloading is including with the Premium service at $39.99/year. Compared to Quicken pricing, the Premium CountAbout subscription comes with all the necessary features at a fraction of the price. For those who want a fully functional Quicken competitor at affordable rates, CountAbout is a great Quicken alternative to consider. With its ease of use, analytical tools, and zero advertisements, it’s no wonder that CountAbout is quickly becoming one of the most popular Quicken alternatives. 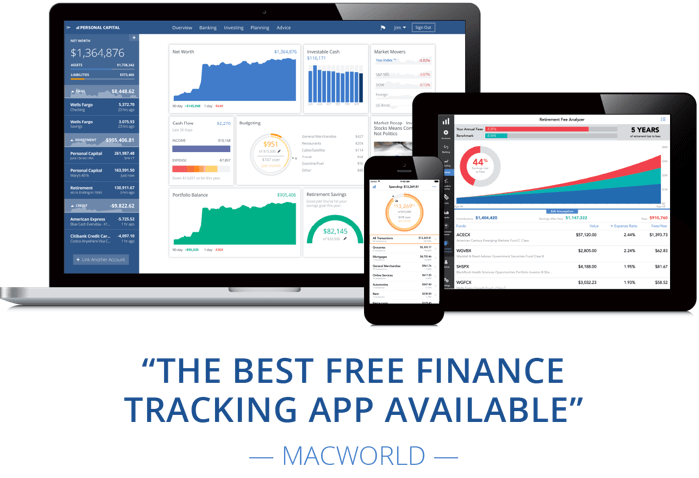 There is no doubt that Mint is one of the best personal finance software options amongst Quicken alternatives. This popular accounting software lets its users create budgets, save money, and even view their credit score. 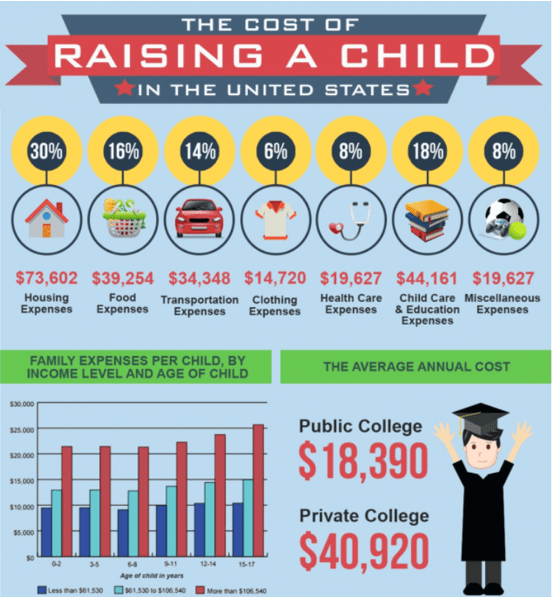 Not only does Mint encompass all of those financial options, but it also offers assistance with bill pay. While it was difficult to narrow down, below are some of the deciding factors that allowed Mint to rank as a top Quicken competitor. Since millions of people use Mint, this Quicken alternative has to be careful with its security measures. Mint is one of the best alternatives to Quicken when it comes to cyber security. It uses 128-bit SSL encryption and physical security standards. While that may be mumbo jumbo to most of us, what that means is that it will be next to impossible for a hacker to get a hold of your personal information. Mint is also verified and monitored by third-party experts. These experts include TRUSTe and VeriSign. TRUSTe and VeriSign are two additional layers of protection on your account to prevent a third party from accessing your information. In order for Mint to work properly, you will need to allow it access to your credit card and bank account information. This allows Mint to download your information and provide you with the most accurate real-time financial numbers. Some people are wary about allowing Mint this much access into their accounts, but Mint does take all of the security measures possible to keep your information private. This Quicken competitor is extremely popular amongst Quicken alternatives because it is completely free. Mint does not ask for your money when setting up an account. There is no sign up fee or credit card information needed to create an account. All you need in order to create an account is an email address. After verifying your email address, you are granted full access to Mint’s best personal finance software. Mint compiles your information and lays it out for you in easy-to-read graphs and charts. This Quicken competitor does not skimp on the amount of financial information it gives you. Mint gives you the option of creating an easy and simple budget that you can stick to. It is hard to stick to a budget, and many people create unrealistic goals because they look great on paper. Mint will calculate how much you spend on average within each category. This Quicken alternative then uses this information to create a realistic budget. This will allow you to see how much you are spending month to month and year to year. As your spending habits change over time, you also have the option of adjusting your budget to change with it. With Mint, you have the option of creating savings goals every month. Once you spend a certain amount in a particular category, Mint will alert you to this. Their focus on creating 24/7 awareness makes Mint one of the best alternatives to Quicken for those who want complete control over their finances. Once you have your spending under control, you can watch your credit score increase with this Quicken competitor. Mint gives you access to your credit score – not many institutions will give you unlimited access to a credit score. Mint lets you know where you stand and what your credit score means to lenders. Moneyspire is a great Quicken competitor, allowing users to combine all expenses and finances into one place. Based in California and founded in 2007, this Quicken alternative services thousands of people across six continents. Their name comes from a portmanteu of “money” and “inspire.” With this combination in mind, their aim is to help users create manageable, effective budgets for their day-to-day lives. After careful analysis and consideration, the below factors contribute to Moneyspire’s ranking as one of the best alternatives to Quicken for 2017. It can be challenging to find Quicken competitors that caters to all aspects of budget maintenance, but Moneyspire does so flawlessly. In fact, Moneyspire can not only be used as a Quicken alternative, but also as an online banking alternative, too. This is because Moneyspire combines all the best features of online banking into one application. Banking transactions can be imported from your financial institution, allowing for bill payment through Moneyspire. Users can set bill reminders and view all upcoming payments, as well as forecast future account balances. Budget progress can be seen in real time, encouraging responsible tracking and spending. With a strong focus on keeping track of present and future expenses, Moneyspire is amongst the best alternatives to Quicken for those who have a history with negative balances and overdraft fees. Many Quicken alternatives charge monthly or yearly fees, but Moneyspire charges a one-time fee of $39.99 or $79.99. For users who need a comprehensive way to maintain a budget, enrolling in a Basic or Plus plan provides all the necessary features to successfully manage their money. For those who want to try this Quicken competitor before purchasing, Moneyspire offers a 45-day free trial. The mobile app is also free, which could function on its own as a great supplement for online banking payment reminders and budgeting tools. Moneyspire is one of the best alternatives to Quicken for users who have investments, too. Actions like buying and selling investments can be tracked, and updated stock quotes are also available through this Quicken competitor. While other Quicken alternatives may offer similar capabilities, Moneyspire has a uniquely user-friendly interface which makes managing multiple financial aspects simple and accessible. Seeing the big picture will allow you to save your money now before you wind up needing it. Click below for this year’s top free alternative to Quicken. PowerWallet is a Quicken alternative that was first introduced by Bob Sullivan. Bob Sullivan is a financial services leader and entrepreneur with decades of experience in financial planning. After the 2008 Great Recession, PowerWallet was released as a way for millions of hardworking Americans to keep track of their finances. Below are some key features to demonstrate what we used to rate PowerWallet as one of the best personal finance software alternatives to Quicken. By this point in the article, we are positive that you must be tired of hearing that it is free to sign up with these Quicken alternatives. PowerWallet also does not ask for any money in order to use its accounting software. You will not have to offer any credit card, PayPal or bank account information before being allowed to sign up. As with the other Quicken alternatives, all you need to sign up with PowerWallet is an email address. PowerWallet is, essentially, a way for you to add all of your accounts into one central location. PowerWallet serves as a Quicken alternative because you can keep track of your finances in real-time using its software. All you have to do is add in your bank accounts, credit cards, retirement accounts, and any investments you have. PowerWallet will analyze your accounts and help you create a budget. 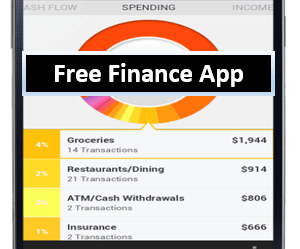 This Quicken alternative will track your spending according to the budget you create. If you stipulate that you do not want to spend more than X in a certain category, PowerWallet will incorporate that into your budget and give you alerts when you get near or go over your created budget. This Quicken alternative takes financial planning one step further and also allows you to plan for any upcoming bills. Through PowerWallet, you are able to set up bill alerts and create an interactive bill calendar. You can see your entire month at a glance through your bill calendar. By staying on top of your monthly bills, you will not be late on any future payments. Many people freak out at the idea of letting a Quicken competitor access their bank account and credit card information, and for good reason. If someone were to hack into PowerWallet, they would be able to steal your money with ease. That is why this Quicken alternative keeps your money safe by using only the best security measures. PowerWallet is backed by Comodo and ComodoWebInspector; two top monitoring systems. In addition, PowerWallet does not have any authority to remove funds from your account. It is a read-only product, so it does not store your data in its accounting software. YNAB is one of the trendiest Quicken alternatives out at the moment. Media teams everywhere are raving about YNAB. Compared to Quicken, YNAB is relatively young. This Quicken competitor opened up its shop in September 2004. Its employees are found in 71% of continents worldwide. Below are the primary reasons we selected YNAB to be rated as a top Quicken alternative in 2017. YNAB is one of the most popular alternatives to Quicken because it offers a 34-day free trial. This trial offers all of the bells and whistles that are associated with the full YNAB version. It isn’t a limited free trial that only offers access to a handful of features, like other personal finance tools provide. The free trial also does not require you to put your credit card information down. YNAB will not ask you for any payment information until the 35th day that you want to use its product, making it rank amongst the best alternatives to Quicken to consider. Some companies ask you for your credit card information when signing up for a free trial. This Quicken alternative will not steal your money by hoping you will forget about the free trial period. YNAB is only $5 a month, or $50 a year. At half the price of Quicken, this is one of the most budget-friendly Quicken alternatives. YNAB specifically challenges its clients to skip purchasing a coffee one time a month. That $5 to purchase a cup of coffee could be put towards their personal finance software instead. If you are an existing YNAB user, you also get a 10% discount if you upgrade to the new version of YNAB. You can choose to stay with your current version, but there is no reason not to upgrade when you can get the newer version for a cheaper price. YNAB is named as one of the most popular Quicken alternatives because it is free for college students. It offers a free version of the accounting software to both full-time and part-time students. In order to take advantage of the free personal finance tools, college students need to email YNAB here and send proof of registration. After receiving the proof of registration, this Quicken competitor will send a special license key that is good until August 31st of the next year. You will have to resend YNAB your registration information every year in order to keep getting the software for free. Whenever you graduate from college, you will need to pay the full $50 annual fee to use the software. YNAB wants its clients to become better financially minded. It hopes that its personal finance tools alone can help, but sometimes people also need education on good spending habits. As a top Quicken alternative, YNAB does not skimp on the extras it provides for its clients. YNAB gives its clients access to free financial classes online. These free financial classes can teach you everything from how to use YNAB to tips and tricks to save money. Quicken alternatives are quickly overshadowing Quicken in the personal finance software market. Quicken no longer has a monopoly on accounting software because Quicken alternatives are offering the same services at comparable prices. If you are not happy with Quicken for whatever reason, fear not. There are alternatives to Quicken out on the market. Using one of the Quicken alternatives listed in this article will give you greater control over your personal finances and peace of mind when it comes to money. After all, money doesn’t grow on trees.